I’ve baked my share of soda bread and corn bread over the years. I’ve also occasionally made my own pizza dough, and lately I’ve been baking some with a bread machine, but I’ve never turned out anything like this – until today. 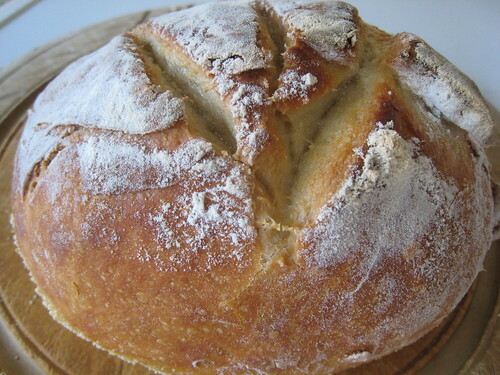 My wife had a copy of Artisan Bread in Five Minutes a Day, and I picked it up the other evening and after reading only a few pages became very excited at the prospect of delicious home baked bread with so little effort. The only question in my mind was whether or not their approach would actually work.